Hillary Rodham Clinton’s role in the Irish peace process is often underestimated but there were few people more important. In retrospect it all seems so obvious. Once an American president focused on Ireland, there would be an immediate concerted effort to find a way to end Europe’s long-running war. After decades of war the American intervention was decisive, a fact admitted years later by the British government themselves. The reality at the time was different, however. When President Bill Clinton became the first U.S. president in history to focus on peace in Ireland, the initiative was opposed on all sides. The British government was apoplectic that a foreign power would meddle in its backyard, and Prime Minister John Major told President Clinton so. In his own administration, the FBI, State Department, Justice Department and the CIA fought tooth and nail to keep the president out of efforts to sort out the conflict. They were aghast when the decision was made to allow Gerry Adams, the Sinn Féin leader, a visa to come to America in late January 1994. Yet Clinton persisted. 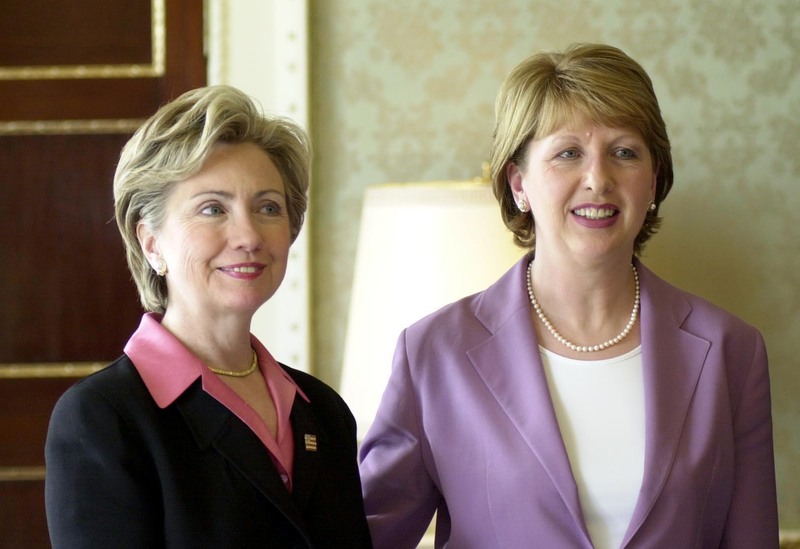 One of his key advisors in his decision was his wife, Hillary, who saw the potential for peace in Ireland. 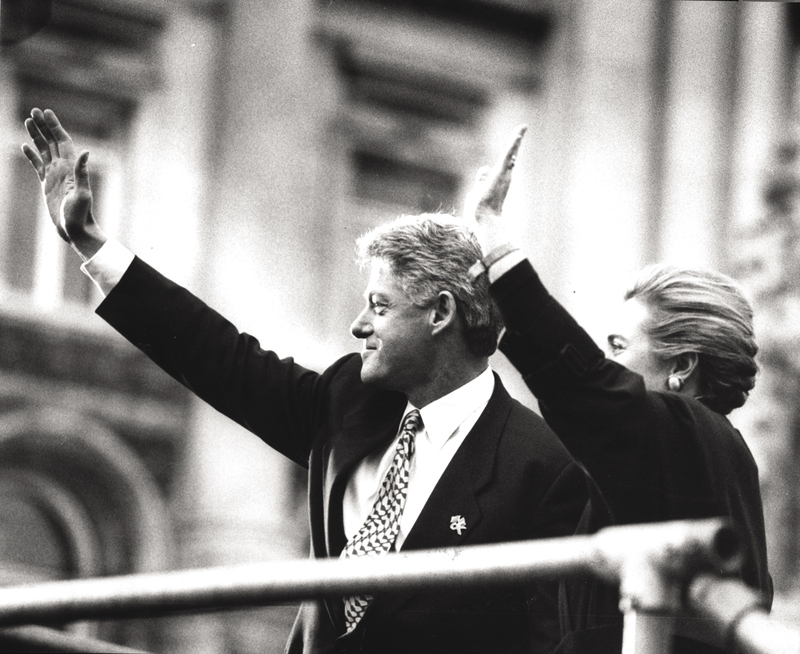 President and Hillary Clinton in Derry, November 30, 1995. Not only that, Hillary determined that she would become part of it. She accompanied her husband on what has been described as “the two best days of his presidency” by Terry McAuliffe, their chief fund-raiser, who accompanied them to Ireland in November 1995 and watched them bask in the warm glow of appreciation as hundreds of thousands of people in Belfast and Derry came out to welcome the U.S.
President and First Lady who had helped bring peace to Northern Ireland. In his memoir What a Party!, McAuliffe, now the governor of Virginia, remembers that visit as the high point of the Clintons’ White House years. During that trip and subsequently, Hillary Clinton played a leading role in creating the links between the White House and leaders on the ground that would be so important in subsequent years. Her visits to the Falls and Shankill Roads in Belfast to meet working-class women from both communities were especially important. She helped empower key women at a time in the conflict when women’s voices were hardly heard. She played a major role in setting the groundwork for the formation of parties such as the Women’s Coalition, which was to play an essential role in cross-community bridge building in the vital years when the peace process was being bedded down. On her first visit to Northern Ireland in 1995 she made the acquaintance of Joyce McCartan, an extraordinary Protestant woman married to a Catholic, whose own son had been killed in the Troubles. As her biography noted, McCartan lost 17 members of her wider family during the Troubles including, in May 1987, her youngest son, Gary, who at age 17 was murdered in the family home by loyalist paramilitaries. McCartan herself heard the shots. The incredible personal tragedy fueled McCartan’s desire to find a way to stop the violence. She founded The Lamplighter drop-in center, which became a guiding light amid the encircling gloom for families weary or fearful of the Troubles who wanted to talk and mingle. In November 1995, McCartan, the center, and its Lamplighter Cafe, were in the world’s spotlight when First Lady Hillary Clinton dropped in for tea and a chat with a group of women from varying backgrounds. The teapot story was often subsequently referenced by Hillary. She established the Vital Voices initiative in the North, which brought mostly, but not exclusively, women at community level together and provided a powerful forum for groups with little or no voice. It cannot be underestimated just how few women were in any positions of power in the North back then, and Hillary went about changing that from the grassroots up. 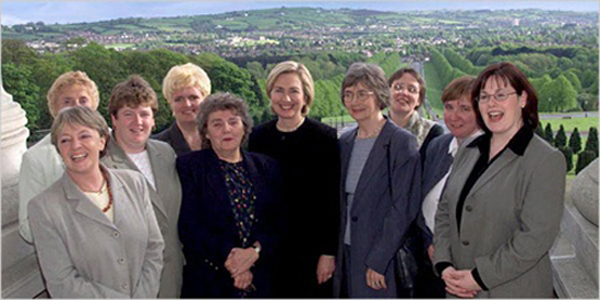 Inez McCormack, the late beloved trade union organizer and human rights activist community worker, told me in a Belfast restaurant that Hillary had single-handedly empowered women in the Northern Ireland conflict, which had a profound impact. Hillary, she said, led the way for Northern Irish women to see that breakthrough. Then, of course, there were the meetings in Washington, usually around St. Patrick’s Day, and the White House “Irish night,” which became a fixture at Hillary’s insistence. The boost to the peace process of a First Lady of the United States welcoming party leaders of whatever stripe to the White House had to be seen in person to be believed. When perhaps the most famous woman in the world spent an extraordinary amount of time just listening to the perspectives from the various parties, it was bound to have an impact. Progressive Unionist Party Leader David Ervine, tragically now deceased, described her as the most knowledgeable person on the issue he had met in Washington. John Hume, the SDLP leader and Nobel Peace laureate who was a frequent visitor and friend, agreed. 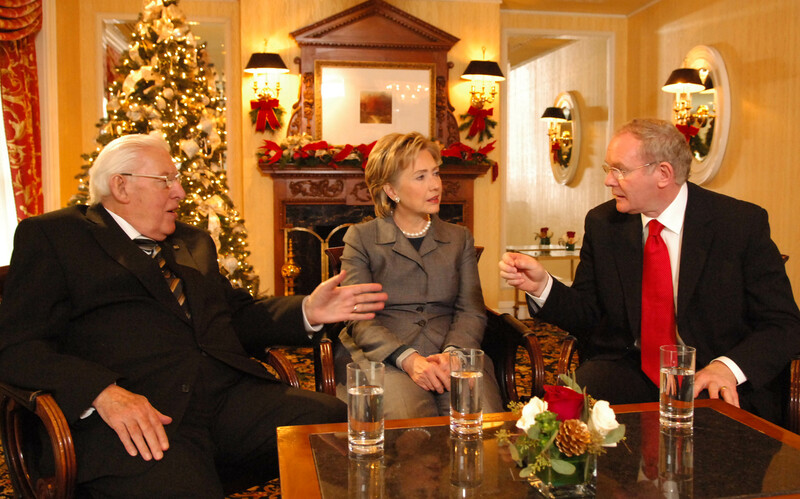 They were sitting together in a smoky hotel bar in Washington, D.C. after an economic conference on Northern Ireland, another Clinton initiative, and Hillary had just knocked them dead with a spirited contribution on peace and economic strategy. It is an intricate business, learning the details of Northern Ireland politics so that you never put a foot wrong. Yet, amazingly, with everything that was pressing on them, neither Bill nor Hillary Clinton ever made the kind of slip-up that would have led to embarrassing headlines on the issue. I remember sitting down with them for a brief interview in the ambassador’s residence in Dublin on one of the trips over. It was clear they had both become enamored of the Irish, and were gratified to have helped solve the riddle that was Northern Ireland in a way that had surprised even themselves. Hillary used the example of her peace efforts in Northern Ireland on her future global travels. Soon after being named Secretary of State she met with a small group of Irish-American leaders and spoke of her hopes that Irish Americans would meet and give advice to other diaspora leaders such as Pakistani and Indian Americans, revealing to them how the Irish diaspora helped end the conflict in Northern Ireland. As Secretary of State, Hillary convened several diaspora conferences and used Ireland as an example of peace brokering in her bestselling memoir, Hard Choices. She also included Northern Ireland on her final travel trip as Secretary of State and received an overwhelming reception from party leaders on all sides when she spoke at a luncheon sponsored by the American Ireland Fund at the Titanic Quarter in Belfast. She promised to stay involved and she has. Hillary, who has made history in so many ways, has also helped make it for the Irish. Most importantly, the Irish know she walked that long and tortuous road with them to help bring peace and that she will be there for the last mile. Our cover story on Hillary Clinton reminds us of her role in the Irish peace process – particularly her involvement in bringing women into the discussion and throwing a light on the role they played in their communities – work that was often under-recognized. Closer to home she taught me a lesson that opened my eyes to the fact that when it comes to giving women their due, we women can sometimes fall short ourselves. I cringe as I remember the incident. The former First Lady, then the newly elected senator from New York, was attending our annual Top 100 affair at the New York Plaza. As she waited to go on stage, Hillary asked me what other politicians were in the room. In my quick scan of the seated guests my eyes took in Congressman Peter King, former Senator George Mitchell, and several other male political figures whose names I passed on to Senator Clinton. Somehow I managed to miss Mary Harney, the Tánaiste (Irish deputy prime minister), and Hillary therefore didn’t mention her in her remarks. Following Hillary to the podium was our publisher Niall O’Dowd, who did mention the Tánaiste. How had I failed to see Mary Harney sitting in the front row? Why was it that only the male politicians had stood out in my mind as worthy of note? Was there some deeply buried prejudice in the fabric of my being that saw men as more important? And if so, was it a condition of growing up in Ireland at a time when women were treated like second-class citizens? Even in the late 1970s women had to leave civil service jobs when they married and couldn’t get a bank loan without a male relative as a guarantor. Contraception was outlawed, and job choices and chances of higher education were fewer for women. In any case, Hillary made me check myself, and now I do it often. I’ve come to realize that it’s easier to recognize gender discrimination at a distance – in Afghanistan or some such place. It’s not always easy to see it when it’s right under your nose. offenses, or refusing to take jobs where they were asked to swear allegiance to the Queen, it was the women who held home and family together. And when it came to the peace talks the few women representatives were often shouted down when they offered an opinion – their roles domesticated and undervalued. And then came Hillary, who met with women from both communities and sat and listened to the details of their lives. 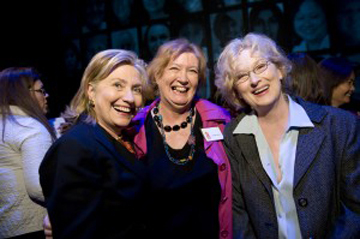 (As George Mitchell who chaired the peace talks said, “[Hillary] was very much involved in encouraging the emergence of women in the political process in Northern Ireland, which was a significant factor in ultimately getting an agreement.”) She visited with women in Belfast, and as First Lady invited them to the White House. When she became Secretary of State she stayed in touch and continued to travel to Northern Ireland. 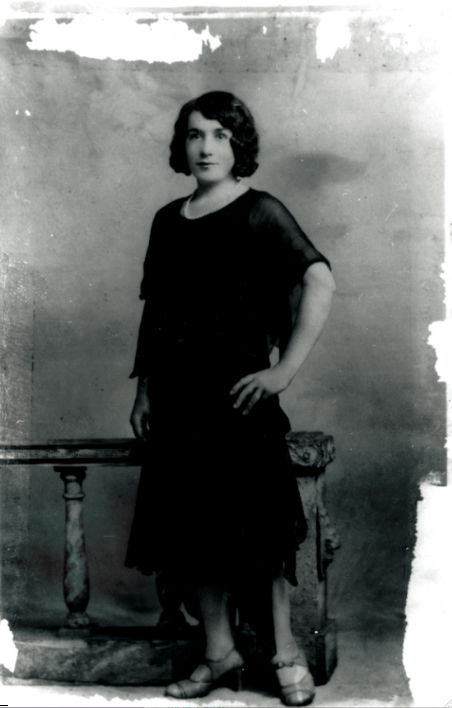 As genealogy detective Megan Smolenyak shows in her exploration of Hillary’s Celtic roots in this issue, the former secretary (seven of whose great-grandparents were immigrants) comes from a lineage of women who were determined to pull through adversity. And if she’s elected president, not only women, but disparate people from every corner of the world, will benefit from her inclusive vision. For all this pondering on the role of women, I have to admit that I’ve had wonderful champions who happened to be male. Not least, the all-seeing, all-knowing Donald Keough, who rightfully was our very first inductee into the Irish America Hall of Fame. Without Don’s encouragement and support I might not still be involved with Irish America. In fact, there might not be an Irish America at all. He created an environment conducive to a publication such as ours and helped ignite the now global Irish Studies phenomenon when he funded the Institute for Irish Studies at Notre Dame in 1992. As publisher Niall O’Dowd has said, “There are two Irish Americas. One before Don, and one after.” We are disconsolate at his passing. Don also supported our Irish America Hall of Fame which is situated on the quayside in New Ross from where his ancestor Michael Keough left for the New World, and where this year’s honorees, all of whom have supported Irish America in different ways, will soon be installed. Inductee Bob McCann has encouraged women in the financial industry, and supported education in Northern Ireland; Emmett O’Connell is a fount of wisdom and knowledge on all things Irish and has given me invaluable insights over the years; and Pat Quinn, who initiated the Ice Bucket Challenge, has united men, women, and children in a fun way to raise money for ALS research. Congratulations to all. We include in this issue, too, a Roll of Honor from the past – a story on the Irish who fought in WWI, and lots of features on art, culture, and music, including one that’s sure to cheer the heart – a profile of Joanie Madden whose phenomenally talented group Cherish the Ladies is celebrating its 30 year anniversary. And cherish the ladies we shall. Last summer, hundreds of thousands of people, including celebrities, politicians, sports stars, and even a group of Irish nuns, filmed themselves pouring buckets of ice water over their heads to raise awareness for ALS, the neurodegenerative disease also known as Lou Gehrig’s disease. You may even have been one of them. Simply and appropriately dubbed the ALS Ice Bucket Challenge, the viral video campaign brought in over $100 million in donations in support of ALS research. And Ireland, according to Facebook, was one of the top five countries in the world to participate. For all of that notoriety, success, and seemingly endless global selflessness, the world has New York native Patrick Quinn to thank. A huge part of this is due to Quinn’s passionate commitment and fundraising acumen (though the timing of the phenomenon corresponding with one of the hottest summers on record in the U.S. probably helped too). Pat, as he is familiarly called, was diagnosed with ALS in March 2013 and says he was in shock, which was compounded all the more for Pat’s age; he had only just turned 30. Most cases of ALS affect those 50 and over. “It was weird, it was very tough,” he told The Irish Voice. 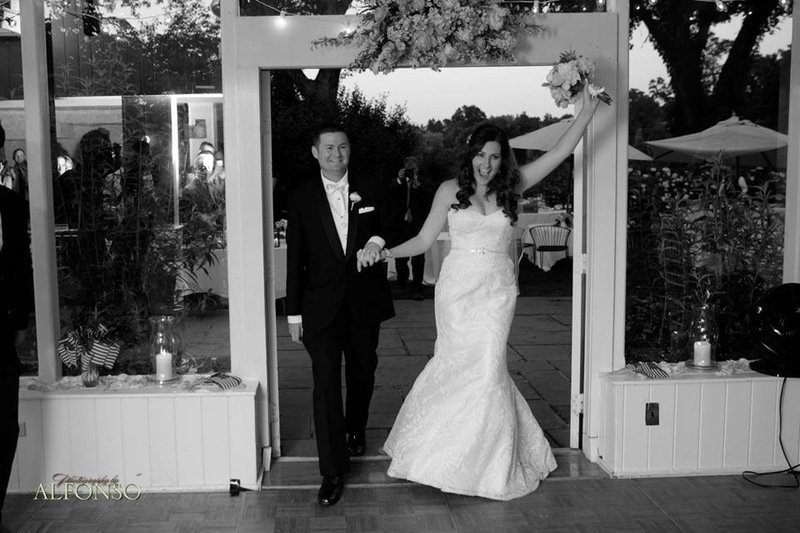 But, he said, “I wasn’t going to take it lying down.” He found strength in his close-knit Irish-American community in Yonkers and his wife Jenn (they married last July). For Pat, the alternative to lying down was to commit himself fully to researching the disease and looking for ways of combating and raising awareness for it. He sparked up a friendship with Boston College graduate Peter Frates, who was diagnosed with ALS in 2012, and together they gave birth to the Ice Bucket Challenge. The scientific name for ALS is amyotrophic lateral sclerosis. It is a neurodegenerative disorder that attacks the body’s muscle and brain nerves leading to trouble speaking, swallowing, and breathing. Once diagnosed, ALS typically progresses rapidly over the course of just a few years, but Pat’s progression is markedly slower, giving him more time to draw attention to the necessity for developing new research and treatment methods, let alone a cure. Current treatment options are notoriously limited. He set up the website “Quinn 4 the Win” which was influential in establishing fundraisers for ALS all over New York, and running the site is now his full-time job. Many Irish bands played at multiple events, and one of the first fundraisers took place in Rory Dolan’s Bar and Restaurant in Yonkers. Since then numerous events have taken place including “Quinnstock” last September while “Quinn 4 the Win” continues to spread news of other donation and benefit initiatives around New York. Pat was born and raised in Yonkers, New York, the son of Patrick Quinn, a native of Newry, County Down, and Rosemary Quinn (née Keane), who is a fourth-generation Irish American with roots in Counties Cork, Clare, and Westmeath. As a youth, Patrick was heavily involved in sports, a passion he still has today, and was a star athlete among his school’s rugby team. As a young boy in Yonkers he fondly remembers growing up steeped in the Irish milieu, remembering the parades on McLean Avenue. 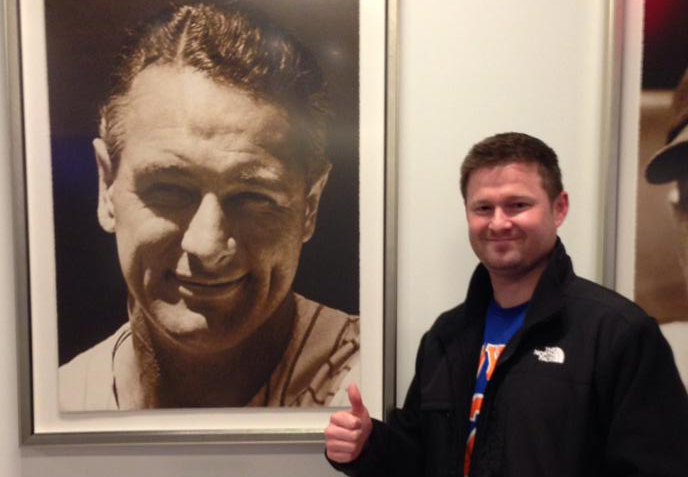 He attended and graduated from Iona Prep and Iona College in New Rochelle. It was his connections from both Iona College and his close-knit Irish clan in Yonkers that helped spread word of his ALS initiative. Pat continues to be amazed at the success of his enterprise that grew from a small grass roots fundraiser with a few hundred people in New York and Boston to more than a million-person phenomenon around the world. Last year, Time magazine nominated Quinn and Frates for their popular Person of the Year Award. And this year, he was an answer on Jeopardy, which he more or less ignored when he first heard about it from a neighbor’s nonchalant knock on their door. Katie Couric (center) doing the Challenge with the Today Show at Rockefeller Center, August 10, 2014. Naturally, that audience is fueled by virally shareable nature of the challenge itself, but it is also a result of Pat’s own visibility. In August and September of last year, he couldn’t keep track of all the interviews he was being asked to do. 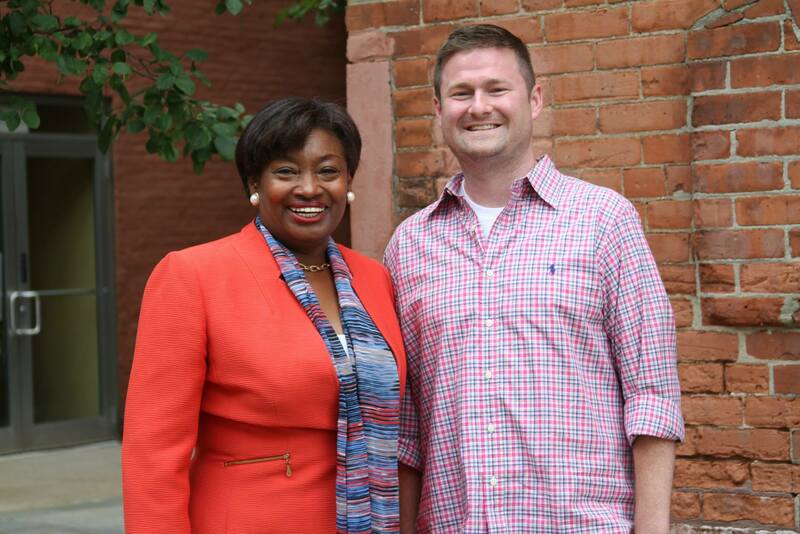 For Pat, who now works full-time running Quinn 4 the Win, this has become his calling. “I was put on this earth to make a difference in the course of such a horrific disease,” he says. Robert J. McCann’s first day of work in Manhattan’s financial district was July 6, 1982. He remembers it was a Tuesday, and he was starting out as a trader on the floor for Merrill Lynch, a company he would spend the next 26 years with, eventually serving as its vice chairman. He had come from Pittsburgh, by way of Texas and West Virginia, and though he knew he had a connection to Ireland, it was Wall Street that solidified his curiosity and passion in his heritage and a nearly two-decade-long commitment to bringing non-sectarian educational change to the country of his forebears. Bob, as he prefers to be called casually, now serves as CEO of UBS Group Americas and Wealth Management Americas, and is a member of the Group Executive Board of UBS AG. In a 2010 interview in this magazine, Bob spoke of the veil around his Irish ancestry growing up, mentioning that the heritage was little spoken of while he was a child, but that a move to New York precipitated a desire to be part of the Irish community. “When I came to New York, I started to hear more about the Irish community and started having more interest,” he said. 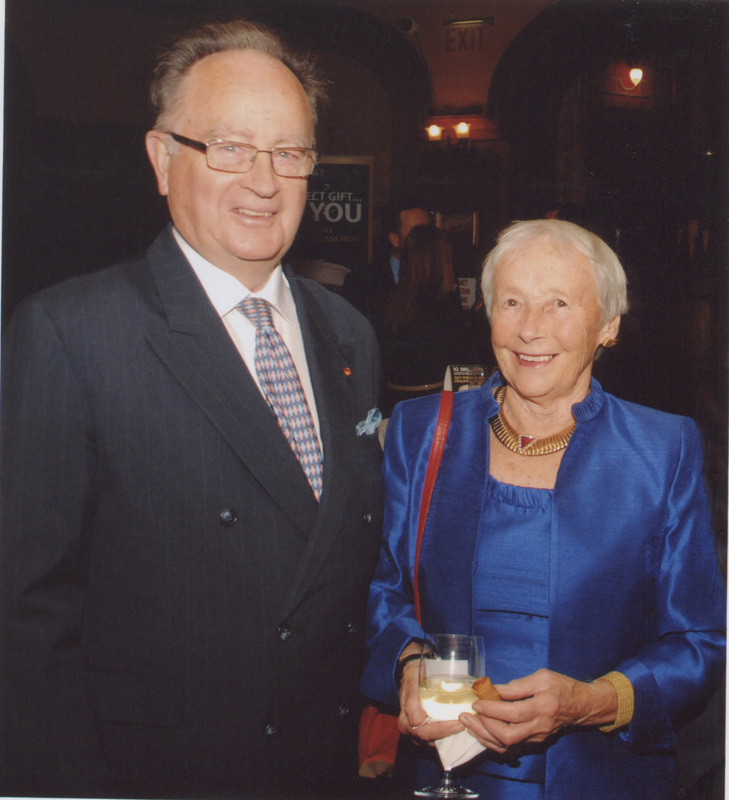 Bob’s interest uncovered not only his own Irish roots, but sparked his involvement with the American Ireland Fund and many other philanthropic endeavors. 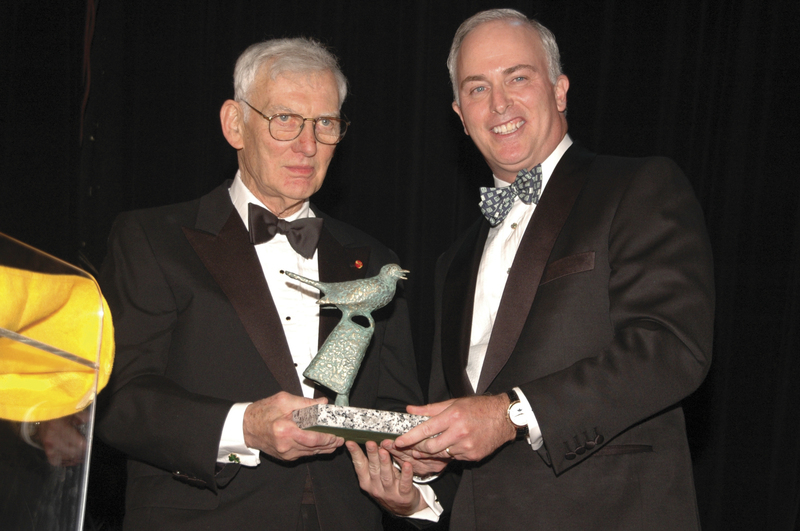 Dan Rooney giving Bob McCann the award as Honoree of the 2006 American Ireland Fund dinner, which raised $4 million. Bob was born in Pittsburgh, a place where he and his family are deeply rooted. It was here in the 1850s where his great-great grandfather from Armagh came in search of work. He is a third-generation Irish American and is a dual citizen of Ireland and America. In the mid 1990s, he visited Ireland for the first time on a golfing trip and was instantly blown away. While he did not learn much about his Irish heritage growing up, he was able, like his ancestors before him, to show how hard work and education can lead to success. He earned his B.A. in economics from Bethany College in West Virginia, where he currently serves as the vice chairman of the board of trustees, and received an M.B.A. from Texas Christian University. Education was an integral part of Bob’s youth, and one of the things he credits with his success. “I always say the two things that really have allowed me to succeed were that I came from a great family and I had education.” It was from this solid foundation that Bob was able to build up his impressive philanthropic initiatives. 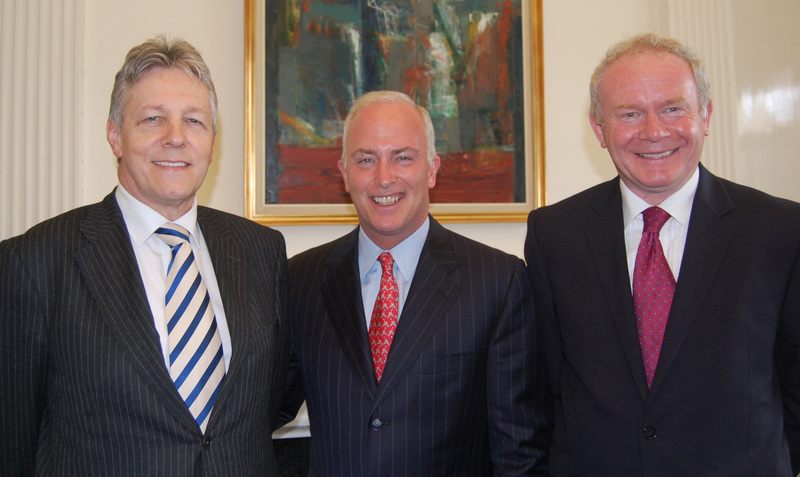 Bob McCann (center) With First Minister Robinson and Deputy Minister McGuinness at Stormont Castle in June 2009. 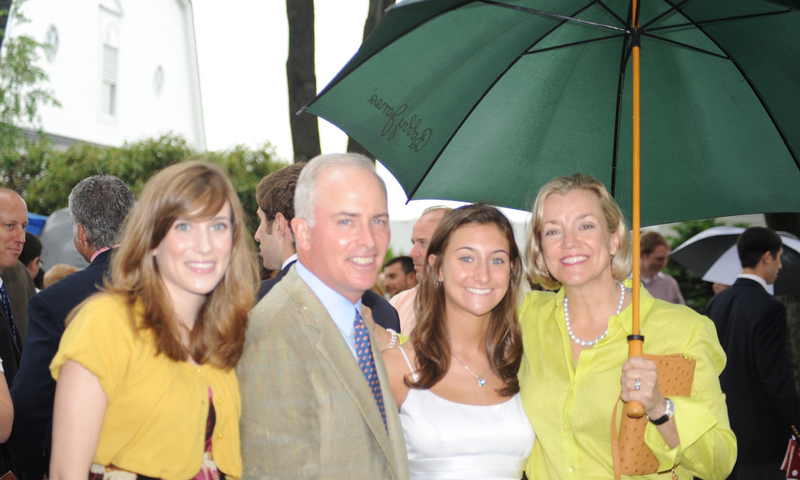 Through philanthropy, Bob was able to marry his success in business and his love of Ireland. The two coincided in 1998 when he became involved with the American Ireland Fund. He helped to raise over 4 million dollars to build an integrated (Catholic and Protestant) school in Northern Ireland. His educational enterprises were just beginning. He soon became a member of the executive committee of the board of directors of the American Ireland Fund and continued to support breakthroughs in education including a 20-episode film project of “Sesame Street” in Northern Ireland. He went on to fund a learning center and student investment fund at his undergraduate alma mater. He also helped to build the Northern Ireland Mentorship Programme, which serves to further ties between Northern Ireland and U.S. Business, and he is a member of the board of trustees of the Catholic Charities of the Archdiocese of New York. His commitment to education has even found him involved in the No Greater Sacrifice Foundation where he served as member of the advisory board. The foundation funds the education of the children of those who were killed or wounded in battle. 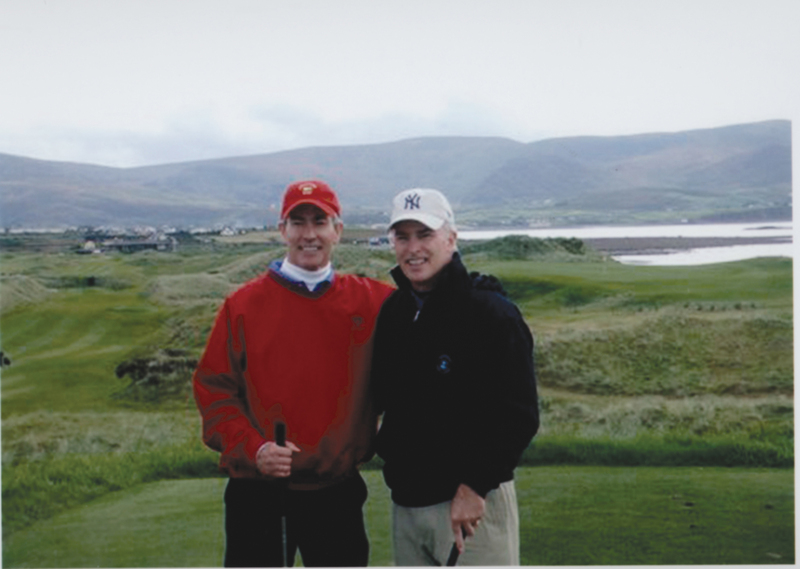 Bob continues to give back in a variety of ways to the Irish and American communities. His business leadership was instrumental in the dark days of the recession and he continues to be an influential leader in the financial world today. He has appeared as one of the Irish America Wall Street 50 for the past five years, serving as the award’s keynote speaker in 2010. “Bob McCann has been an incredible philanthropist and supporter of critical community projects in Northern Ireland through AIF,” said Niall O’Dowd, founding publisher of Irish America. Bob lives in New Jersey with his wife, Cindy, with whom he has two grown daughters, Meredith and Madeline. “I know you. You’re the boy from the Bronx who went to Ireland and made good,” Hillary Clinton commented on meeting Emmett O’Connell at an Irish America do in the mid-90s. It’s hard to sum Emmett up in a descriptive sentence, but certainly the former First Lady’s words are a good place to start. Named for the Irish patriot Robert Emmett, he was born in the Bronx and he has found success as a founder and director of several Irish-based mineral and oil exploration companies, including Eglington Exploration and Texas Continental Securities, which have taken him around the world. Emmett was probably the first truly global Irishman of his day. He was working in Iran when most Westerners were not welcome, and he was in Russia just as the Cold War ended. In South America, his small Irish exploration company was awarded contracts over the supermajors. “They saw this Irish company and said, ‘What the hell is this?’ and gave us a shot – one in the eye for the big conglomerates,” he recalls with amusement, speaking from his “bunker” in Wexford, his home base in Ireland. In all his business dealings, being Irish and American proved an advantage, he says. “Being an American meant I had exposure to mining and to the oil exploration that wasn’t readily available to most Irish people. And being an Irish company, you got an open door. For all his travels, Emmett admits he has no gift for languages. “I just say what I have to say in straight American so there are no mistakes,” he laughs. What he does have a talent for is understanding the cultural mores and the history of others, which stems back to his New York upbringing. Back in the 1940s, the South Bronx neighborhood where he was born and raised – one of five children of Irish immigrant parents from Sligo and Cork – was also home to a goodly number of Italians, Germans, Eastern European Jews, and Puerto Ricans. It was also just across the bridge from Harlem, so he was exposed to a great cultural mix and learned at an early age how different ethnic groups operated. To all these new immigrants, education, and athletics were important. Emmett, who was a champion speed-skater, recalls that the competition was fierce between neighboring teams, especially in basketball. “Contrary to popular opinion when you played the Jewish teams they were darned good and tough to beat,” he recalls. For the Irish and Italian Catholic children, education meant Cardinal Hayes High School, founded in 1941 by Cardinal Spellman, who wanted a high school where the academic standard was paramount. It was here that Emmett found he had talent for mechanical drawing, a skill that would set the course of his future career. Shortly after he graduated just before his 17th birthday, he got job with a company specializing in building propane and butane standby plants for utilities. “It was specialized work but it gave me a chance to travel up and down the East Coast,” he recalls. Emmett soon struck out on his own, realizing that the fixed life was not for him. “You could be a company man – there was great temptation to become a permanent employee – but contracting was very rewarding and short term,” he says. One such contract found him in Northern California in the 1960s working for Shell Oil. He took the opportunity to attend the University of California at Berkeley, and he’s still grateful for the education he received there. Shell wanted to take him on full-time, but Emmett had a hankering to live and work in Ireland after his first visit there at 19. Emmett went ahead with his plans, enjoying the challenge and finding success. “Small companies can always get in on the exploration scene because it’s high risk and you have to be there on the site, you have to make the decisions and you need to round up a number of investors and sell it to them. That’s the upside if you hit it,” he says. Emmett’s experience and knowledge of the global economy has earned him a reputation as a commentator on politics and the economy. He often combines the two subjects when talking about the relationships between Ireland and the European Union. Asked what the future holds, he points out that Ireland’s best seven years were when it had a separate currency, the Irish punt. A return to the punt would help Ireland’s competitiveness. 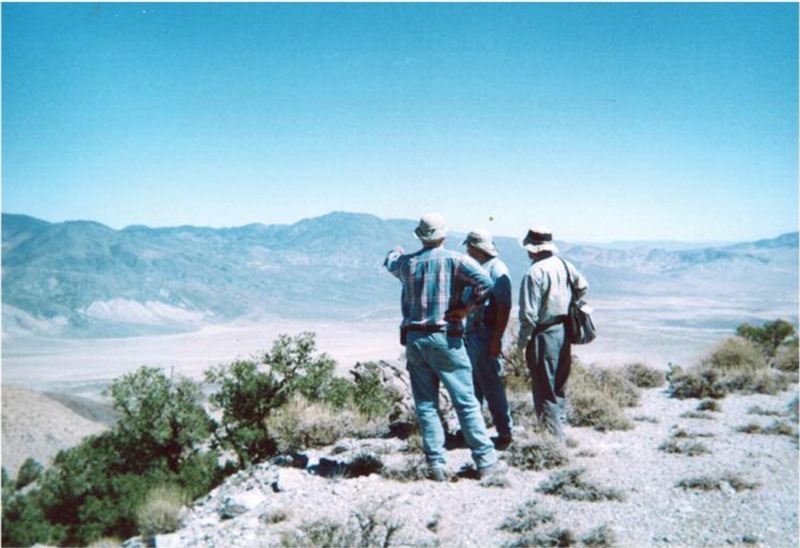 While Emmett will continue to be interested in and comment on all things Irish, he is retiring from his mineral exploration company at the end of March. He has attempted to retire before but there was always a temptation. “The well next to the well we tried to get years ago would become available,” and off he’d go. But this time it is for real. He plans to start reading the thousands of books in his library and spend more time on his farm in Wexford with Ray, who has been his mate since they met in the 1960s and married 16 weeks later. “An indecent amount of time for an Irish courtship,” as his Irish friends commented at the time. His son Oisín, just elected to Wexford County Council as the Sinn Féin candidate, will keep him up to speed on politics. His son Robert, a geologist, will keep him informed on mineral exploration, and his daughter Róisín, who lives in South Africa with her financier husband, will keep him clued in on the world economy. Or, more likely, Emmett is the one who will be keeping them all informed, as I myself look forward to his phone calls and hearing his take on the latest news from Ireland. Meanwhile, there are eight grandchildren to whom he’ll tell fascinating tales of his adventures in a life well-lived with a touch of grace and gratitude for being born and raised an Irish American. Several Irish universities are ranked in the highest echelons of a new international ranking system. A recent report from U-Multirank gave Dublin City University and the National University of Ireland Galway perfect scores in the “international orientation” category. Only 27 institutions from the worldwide study received perfect grades, and Ireland tied Switzerland and Sweden for fifth place by having two institutions in the top-tier. The new U-Multirank system is a welcome change from the norm. Users are able to compare similar institutions in a variety of ways so that they might glean a better understanding of how an institution performs in the realm that suits their specific needs. The Irish universities in U-Multitrank’s top 27 internationally oriented schools lagged behind others when it came to research and publication. However, Irish universities all scored top marks in B.A. and M.A. graduates working in the region. The Irish government must plan for coherent, sustainable long-term development or rue the drastic consequences of global climate change, policy practitioners Social Justice Ireland warned at a seminar on Climate Justice and Policy Coherence in February. New laws regulating street performance, or busking, have recently been passed in Dublin City just in time for St. Patrick’s Day. The new laws were updated in order to ensure the safety and welfare of both performers and the audience. Among some of the new regulations are: permits for buskers, time limits for street performance, and revocation of permits if buskers do not ad-here to the proper regulations. Outrage was sparked when the Irish government refused to hold a referendum to extend the vote in Presidential elections to Irish citizens living in the North and elsewhere outside the Republic of Ireland. The referendum was backed by the Constitutional Convention and a number of prominent TDs. Similarly, Matt Carthy, Sinn Féin MEP, called upon the Irish government to stop dragging their feet and get a referendum passed. “I am calling on the Government to make a clear commitment that this matter will be progressed without further delay and to take steps to make sure that the referendum on voting rights for our diaspora will be put before the people at the earliest opportunity,” he said. Amal Clooney (right), British international law and human right’s lawyer and wife of George Clooney, has joined the legal team representing 14 Irish men who claim to have been tortured by the British government in the 1970s. Though none of the men who subjected the 14 to “deep interrogation” techniques were ever convicted of wrongdoing, the European Court for Human Rights found that the techniques were “inhumane and degrading,” but did not amount to torture. Now, after recently declassified documents have been discovered, the case will be retried at the European Court of Human Rights in Strasbourg. Victims: Colm O’Gorman, executive director of Amnesty International Ireland, (front right) with a number of the surviving victims. 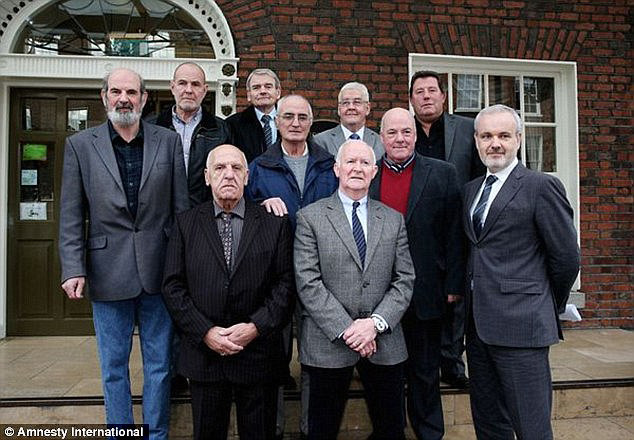 They became known as the ‘Hooded Men’ after revealing details of their treatment.